Michael Jordan is a legendary basketball player, he is a perfectionist, he mastered almost all basketball skills, especially his mid-range jump shot, he is the real king of mid-range jump shot, that is why his fade away undefendable. Many basketball players wear wristbands on their left arms, but most of them just wear it on the wrist or forearm. Michael Jordan has been worn the wristband on his forearm, but he can not get a championship in that years, in 1991, he changed the position of his wristband, he wore the wristband on his left elbow, after that year, he won 6 championships. 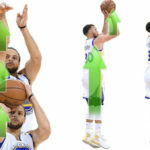 Actually the change was an omen, that indicated Michael Jordan’s shooting skill was improved, his shooting form was evolved, it was a key point and help Michael Jordan’s jump shot more accurate. Michael Jordan is a hard hand player, his shooting form is perfect for the mid-range. 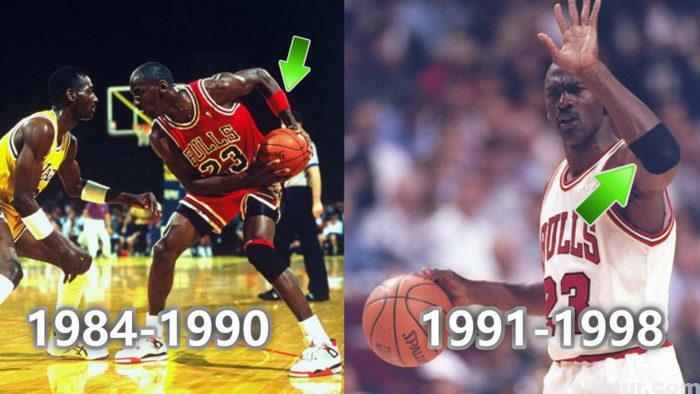 The obvious evolutionary features of his jump shot was found in 1991, the maturity was in 1998. 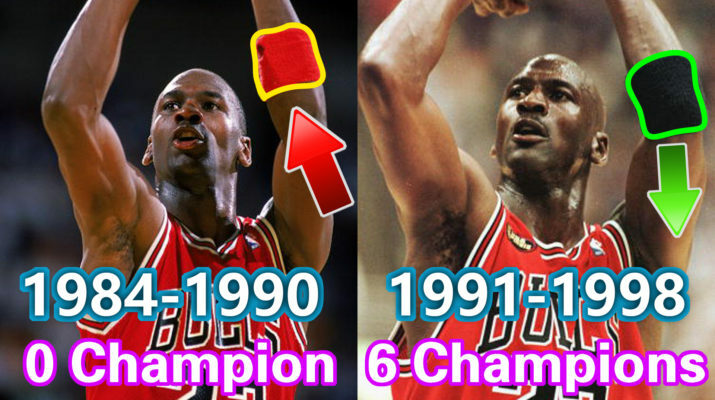 We know that Michael Jordan got his first NBA championship just in 1991, it was not a coincidence, at the same time, his wristband position was changed, from his left forearm to the left elbow, and never changed again. Details make a difference, Michael Jordan is a perfectionist, and he is a shooting master, all the tips of his shooting form are all meaningful, his jump shot skills is refined with no redundant movement. First, we should know what is a real master, not only basketball, soccer and othe sport either. Michael Jordan and Zinedine Zidane, they are all the real masters, the most important factor is they are all undefendable, they are proficient in all the skills in this field, their skills almost perfect. They can lead a team won a game almost with their personal talent, especially in a final game. For example, Michael Jordan led Chicago Bulls won the 1998 NBA Championship, almost all the important points of Game 6 by Michael Jordan, so the Bulls won the NBA Championship. In 2006 FIFA World Cup, almost all experts believed that France could not advanced from the group, but they came in the Final game, Zidane led the team defeated Brasil and Portugal with his perfect skills. Another key point is a master must have a unique undefendable skill, just as Michael Jordan’s Fade Away and Zidane’s Marseille Turn, just because they proficient in all skills, they finally have the top level creativity. Almost all the players wore a wristband just for wiping perspiration or even only for fashion, but Michael Jordan’s left wristband has a effective utilization, even for help his shooting accuracy. Because of Michael Jordan’s hard hand shooting form, his whole body muscles will be tight when he was shooting. 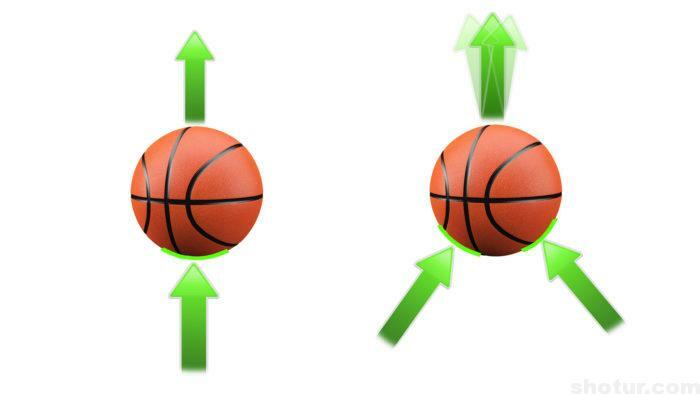 Hard hand shooting skills need the body stiff, especially the two arms, so when Michael Jordan release the ball, his left arm always give the ball a little force naturally to interfere with the straight shooting force. Even at the critical moment, our muscles will be more tense than normal, the power of interference will be more, so that is why we always can not shoot so accurate just like at the normal time. Such as Stephen Curry, he won 3 NBA championships, but he can not got even one Final MVP. We all know he almost a shooting master, but he still can not prove himself in the NBA finals. His 3 point always not good in the NBA finals, so he can not dominate the game. The most important reason is the force of interference by left arm, especially his left thumb. You can imagine, when we make a straight force with one force or two forces, which will be easy to make a pure straight force. So Michael Jordan found it in 1991, he want to win a NBA Championship, even dominate the NBA game, he must improve his shooting skills, make it perfect, then he will be undefendable. When Michael Jordan become a shooting master, he felt and found that this force had a slight interference with his shot. 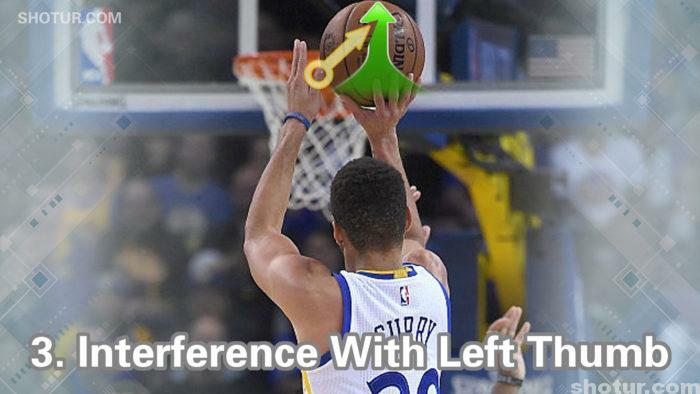 We can improve this by conscious skill, such as left hand leave the ball when release the ball, or keep the left forearm do not move. But the force of this interference always naturally, so Michael Jordan discovered the wristband tip. 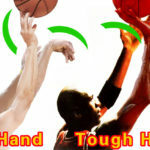 When we wear the wristband on our left elbow, it can immobilize our left arm, because of this help, when we shoot a ball, the interference from the left arm will be reduced, then our critical shot will be accurate as in our training. So after 1991, Michael Jordan’s shooting skill almost perfect with this help, he found this tip and did not tell the others, he keep the secret, and keep his shooting skill on the top level, the position of the wristband never change again.